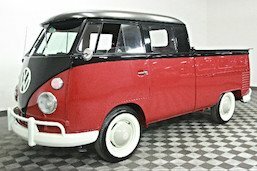 Over 50 Experiential Vehicles available! 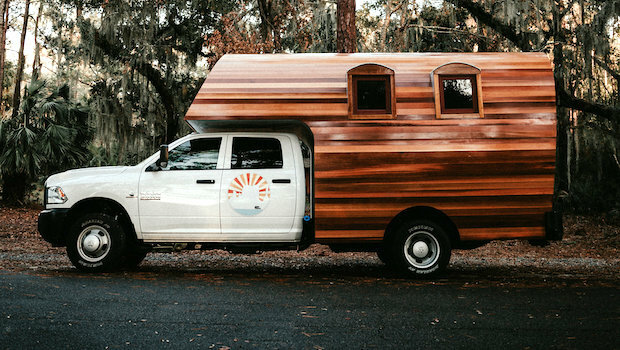 Save thousands by repurposing and reusing existing marketing vehicles. Use the Experiential Vehicles Marketplace to Buy – Sell – Recycle. From large semi trailers and buses to hauler trucks and vintage vehicles, our network of experienced marketing vehicle transport services can keep you moving. Storage for any size vehicle. Our Customers get FREE Storage, find out how you can get free or affordable secured outdoor storage at one of our lots. Specialty dealers & manufacturers combined with our marketing knowledge streamlines the buying process. We can also create lease options. 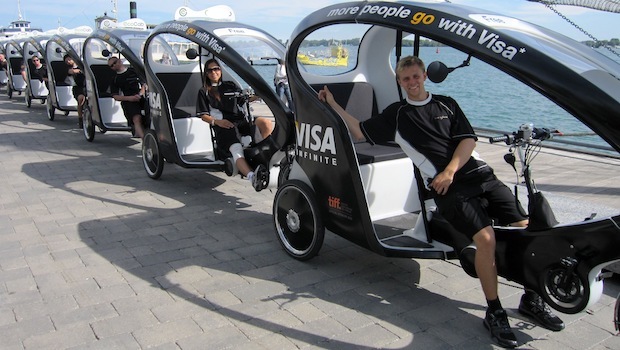 The principal goal of Experiential Vehicles is to give existing experiential vehicles a 2nd life (3rd, 4th,…) allowing more companies, campaigns, and causes to participate in experiential marketing. However a listing of available marketing vehicles is not enough. The custom assets themselves, as well as the logistics required to move them require specific skills and knowledge. Experiential Vehicles consists of a team of professionals with decades of experience with mobile marketing vehicles and logistics. We educate our clients on marketing vehicles and help them navigate through the selection, customization, and execution process. We help both experienced clients and those new to experiential marketing to find the best mobile marketing vehicle solution for their specific program enabling them make each campaign a success. Experiential marketing is a form of advertising that allows consumers to observe and experience your brand first hand. 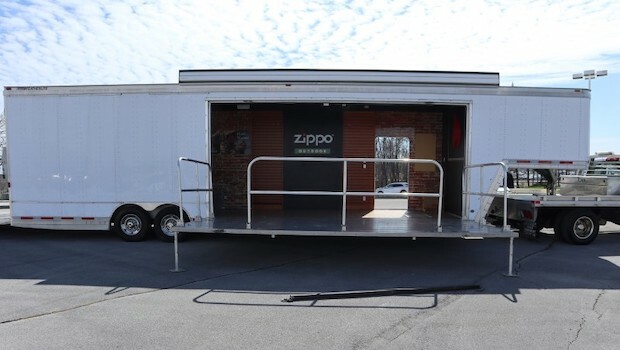 Mobile marketing trailers & vehicles are a form of experiential marketing that allows consumers to form a direct, memorable connection with your brand. 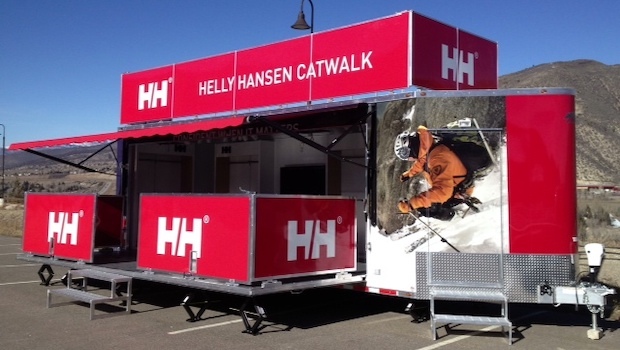 Whether you’re searching for a glass truck display, a mobile lounge, a stage trailer or any other experiential vehicle, Experiential Vehicles has got you covered. Our team has extensive knowledge in the experiential and mobile marketing industry and is here to help you find your experiential marketing solution. 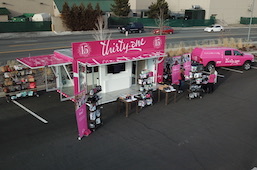 Our mobile showrooms, pop up stores, and hospitality trailers make it easy for you to grow your audience by participating in the tactile world of experiential marketing. 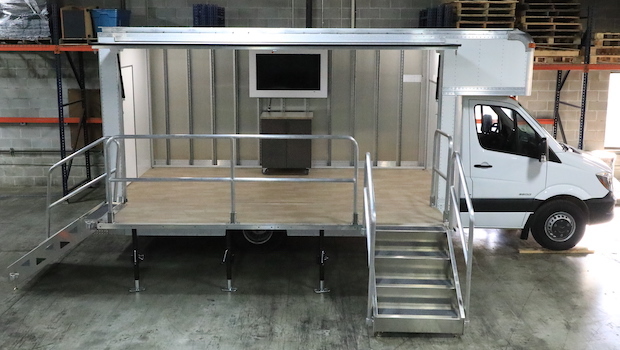 Glass truck displays with side and rear doors provide space for traffic flow and are perfect for curb events. 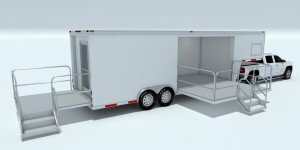 Double expandable trailers give you the most room for your display, lounge or whatever you’d like to set up for the time. 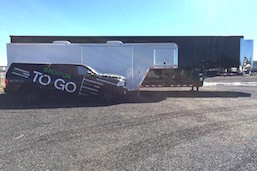 Zero emission marketing vehicles are great for green companies and online gaming trailers are perfect for attracting gamers. No matter what audience you’re trying to attract, Experiential Vehicles is here to help you find an experiential marketing solution. Experiential marketing can extend your advertising campaigns to non-traditional channels and allows you to reach customers you might not have otherwise. It strikes an emotional chord and leaves consumers with an impression they won’t easily forget. Perhaps most importantly, experiential marketing solutions allow consumers to control their own experience, which is more likely to transfer into customer loyalty. 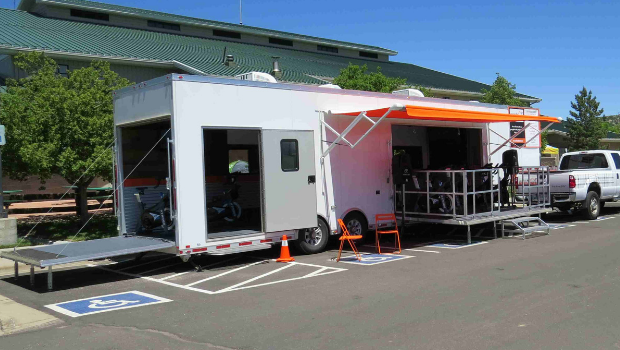 To start planning your mobile marketing tour, contact Experiential Vehicles today. We serve customers across the United States, especially those in Denver, Chicago, Los Angeles, New York and San Francisco. No matter where you’re at, we can help. Copyright © Experiential Vehicles. All Rights Reserved.